Grandparents have a very important role in a typical Filipino family. They are the ones taking care of the grandchildren while both parents are working. They cook sumptuous meals, provide guidance, stability and reassurance for the whole family. You will never see them tired - they are always present, willing to help without complaining. In the Philippines, it’s very common in a traditional home to have extended families living together. That’s why most of us grow up with our grandparents, aunts, uncles and even cousins around us. Part of Filipino culture, as well as in other Asian countries, is for adult children to provide financial assistance and health care for their parents. Unlike in Western culture, where they follow a nuclear family model which just involves the parents and children living under one roof. This means that most grandparents are sent to care homes where they are taken care of by experienced caregivers. So, why is it so important to have your grandparents present in your home? What benefit does it provide the family? 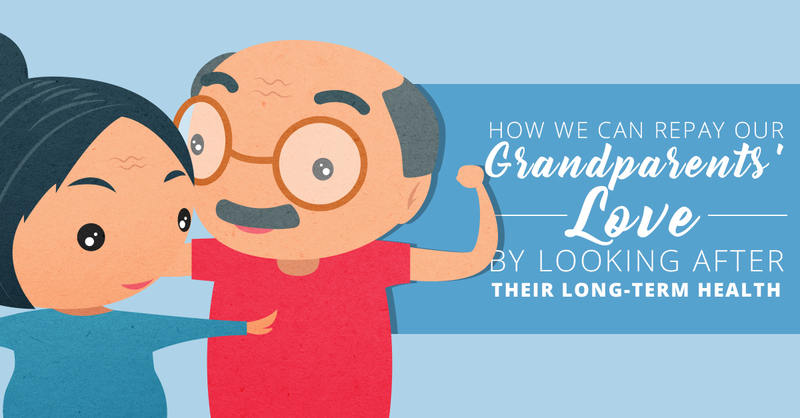 Because our grandparents were always there for us when we were little, it’s only right that we show our love for them and think about how they can live a longer and happier life. They should be able to relax at this point in their life and not worry about their health. The Department of Health launched the Health and Wellness for Senior Citizen in 2010. The HWPSC intends to provide the following: focused service delivery packages and integrated continuum of quality care, patient-centered and environment standard to ensure safety and accessibility for senior citizens, equitable health financing, capacitated health providers in the implementation of health programs for senior citizens, database management, and strengthened coordination and collaboration with other stakeholders involved in the implementation of programs for senior citizens. It is good that our local government provides health benefits for senior-aged individuals, but for our grandparents to have personal health insurance plans add an extra layer of confidence and peace of mind knowing that if anything happens, they are covered. Grandparents should be treasured. They are the sweetest, loving, most caring members of the family. So, don’t take them for granted. Give them the best care possible environment to relax in, as they won’t be around forever. Stress-free retirement – As part of an ageing population, our grandparents need a peaceful and relaxing lifestyle when they retire. Make sure that aside from their monthly pension, there should have additional financial aid to help them in times of uncertainty. Since the average monthly pension in the Philippines is approximately Php7,000 to Php8,000, it is not advisable to rely on this alone, especially if they have pre-existing health problems or if they get sick and need to be confined in a hospital. Financially secure future - We want our grandparents to live longer and to ensure that they are free from any sickness at all times. But, as much as we want them to be in good health, there will be times when they get ill. Being in a hospital for a long period of time is difficult that’s why having a health insurance plan that will provide medical coverage for our grandparents’ hospitalization costs is extremely important. Independence - We know that seniors don’t have the same energy as they used to. As a result, we become overly protective and forbid them from doing household chores, taking a bath on their own or moving around the backyard. Maybe because we are afraid that they may slip or bump their head. Making them feel useless and a burden will result in them getting sad and possibly even depressed. Independence contributes a lot to their wellbeing, so let them help as they will feel a sense of belonging. As long as you provide assistance, care and guidance, knowing they can contribute in some form, will provide them with a sense of duty. Affordable health care - Don’t let your grandparents get stressed over their finances. There are affordable health care plans designed to ease their worries and lessen the financial burden their health may have on the family. For as low as Php213 a month you can apply for a medical insurance plan that provides comprehensive protection. Best of all, the application is free and the whole process is easy to complete with experts there to guide you a long the way. Hospitalization plans - Hospital stays are expensive. Having control over your medical expenses and securing a hospitalization plan for your grandparents should be a priority. It is important that a plan covers your grandparents until they are at least 80-years-old. The ideal plan will allow you to apply for it when your grandparents are between the ages of 50 to 75-years-old. Having a health care plan in place will protect your family from the high costs of hospital and medical expenses. The best plans will provide benefits in the form of cash, on top of your grandparents’ PhilHealth and/or HMO coverage, so you can decide whether to use the money for paying hospital bills or buying prescription medicines that are needed to the speed up their recovery. Also, look for a plan that provides cash assistance for ICU confinement and for every surgical procedure. Fortunately, the PrimeCare Cash Plan covers your grandparents until the age of 80-years-old, while the eligible age for this plan is from 50 to 75-years-old. 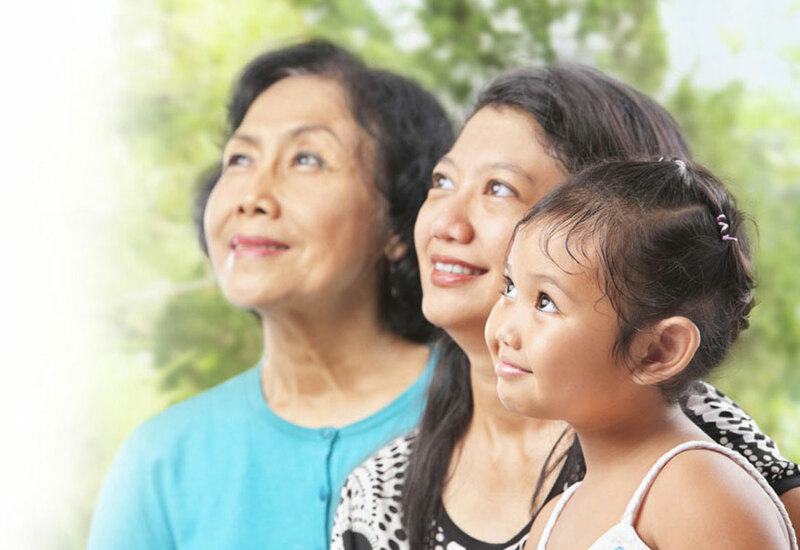 The benefits are in cash form even if your grandparents have PhilHealth and/or HMO coverage. This product also provides cash assistance for ICU confinement, long-term recovery due to sickness and surgery.